According to a new analysis, the 2010 federal Census is the most accurate in American history in terms of a net result, yet it grossly undercounted minorities, young children, renters and middle-aged men. Two years ago, the Census determined the U.S. population to be 308,745,538. Immediately after, the Census Bureau conducted a national survey of 300,000 housing units; by comparing survey responses to completed Census forms and checking all Census forms from survey-targeted areas against the same survey data, the Census Bureau estimated the Census surpassed the actual overall population by a mere 36,000, or .01 percent (by comparison, the 2000 Census overcount was .49 percent). The Bureau analysis found that the Census missed approximately 700,000 Hispanics and that the Native American population was the most under-counted ethnic demographic, coming in at an estimated 4.88 percent lower than their actual number. USA TODAY suggests it is possible that undercounts of minorities and the poor are due to the peripatetic tendencies of individuals and families who reside in the United States illegally, often skirting contact with the federal government. Non-Hispanic whites, middle-aged and older women and homeowners were the most over-counted groups, accounting for the offset of the undercounted populations. Persons residing in two places at once, such as college students and second-home snowbirds, tend to be overcounted as well. There is also a built-in mechanism for inaccuracy in the Census questionnaire, as the form only makes room for listing up to six people in a household; this lack of recognition of large families may explain the estimated significant undercount of young children. 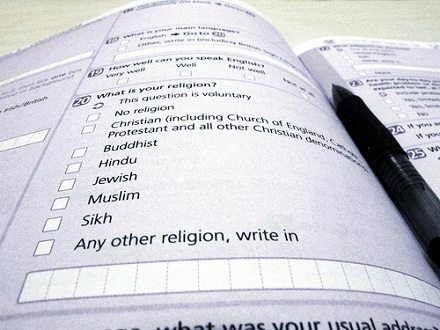 In spite of apparent improvements over the years, there has been protest over perceived bias in the Census, but the Census Bureau has not announced any plans to adjust the 2010 Census, though it does plan to use the study to improve the 2020 Census. The Bureau is expecting cuts to its own funding and may employ online Census-taking, among other cost-saving measures.